Simba Box Office Collection Day 2: Ranveer Singh, who took the tag of Bollywood's most energized actor, gave a new year's gift to the audience and his fans from the movie 'Simba' at the end of the year. Through this film, he also took the position of a successful actor on himself. Ranveer Singh's second film of this year, which seems to be a super hit. 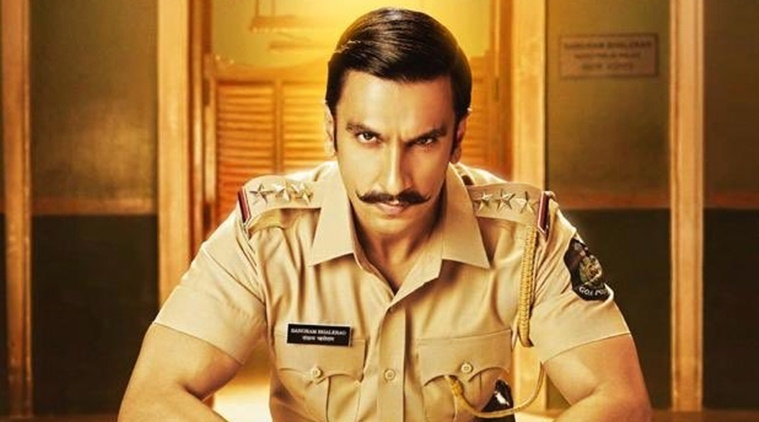 Ranveer Singh, who had a good review and a dabong police met by Film Critics, won the hearts of people in his style. Now to see how much money the film can earn in the first weekend. However, on the first day, the film broke its own record by earning Rs 20.72 crore. Earlier, Ranveer Singh's film "Padmavat" had a first-time collection of 19 million rupees, which was released on Thursday. Ranveer Singh's film Friday's earnings is expected to show that the film's figure could be around 25 crore on the second day. Ranveer Singh's movie 'Simba' did not hurt Shahrukh Khan's Ziro, because his film disappointed the audience, which was his advantage. In the film produced by Rohit Shetty, besides Ranveer Singh, Ajay Devgan also has cameo role in which he plays the role of 'Singham'. Apart from Ranveer, Sarah Ali Khan (Sara Ali Khan) has also hit the film because of being a Surprise Element in the film, Climax was more like that. Ranbir Singh (Ranveer Singh) and Sarah Ali Khan's 'Simmba', directed by Rohit Shetty, has a budget of about Rs 80 crore. Being told. But seeing the way the opening film is being played, 'Simba' will get Rs 100 crore in four days. Can touch the figure of However, Shahrukh Khan's big budget film 'Zero' has been released after a week of Rs 100 crore. How far is it from 'Simba' is a very important film for Ranveer Singh, because Ranveer Singh's record of solo films has not been very good, and all his big hit films are with Deepika Padukone.